I have had a busy few weeks. 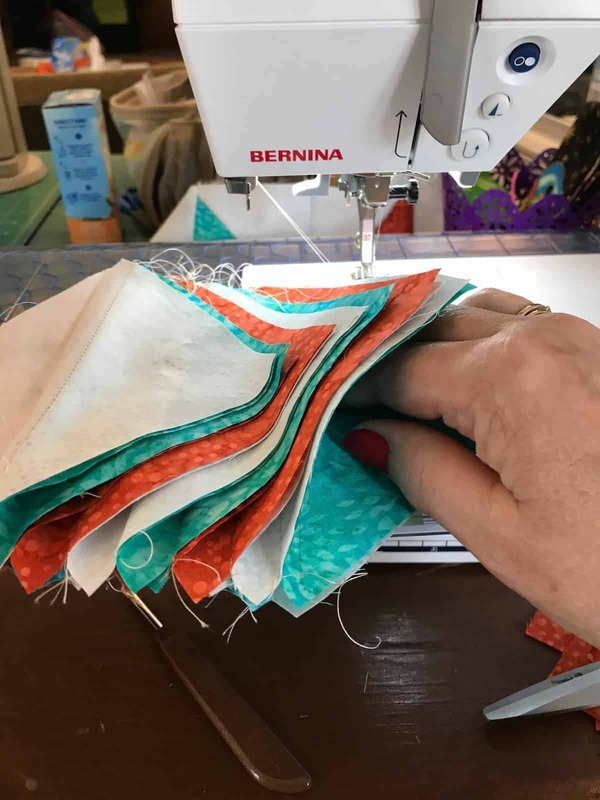 I am still having a busy week but wanted to catch you up on a few quilting things that I have been doing. 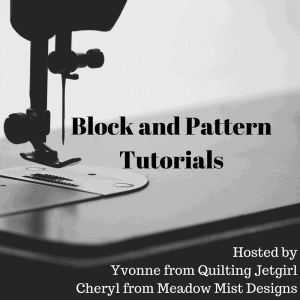 First, I took a class from Paula Nadelstern, quilter, author and fabric designer. 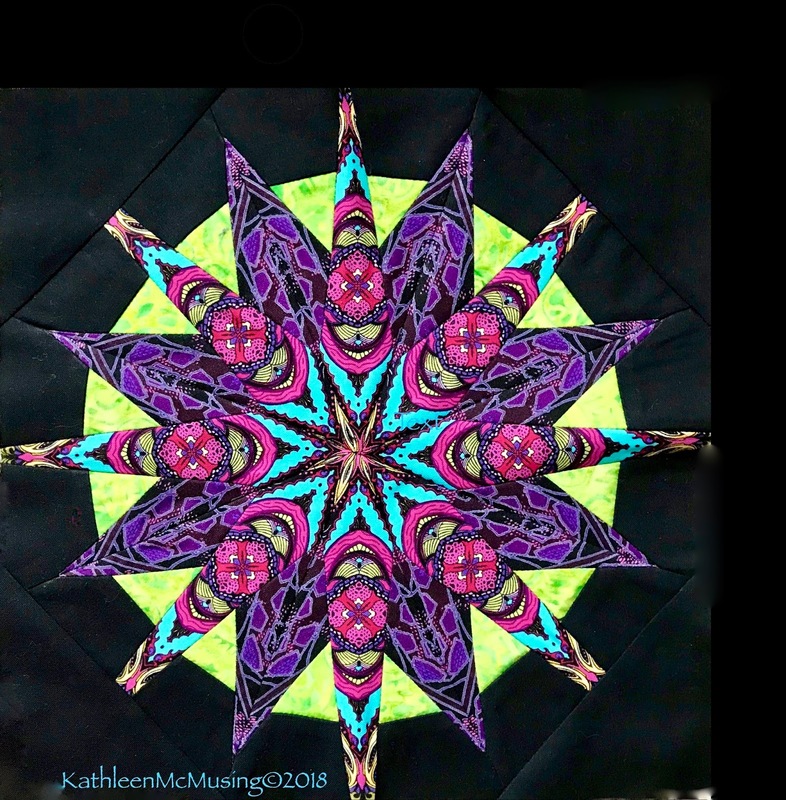 Her quilts are an exquisite series of kaleidoscopes and are drop dead gorgeous. 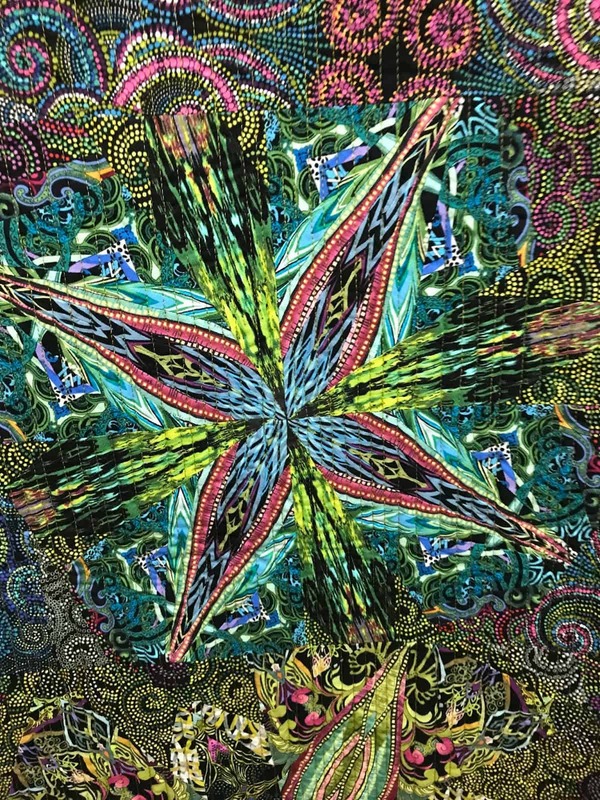 The above is a sample of a piece of one of her quilts. There is a knockout one coming – it is in Paducah now – but we were privileged to get a glimpse of it. The picture above is a tiny piece of another one of her quilts. Here is my star – quite a fun class classed Sun Star. Paula is an excellent teacher and she really knows how to pace the class, keep it interesting, and make hard tasks seem easy easy. I am anxious to make another to compliment it this block. 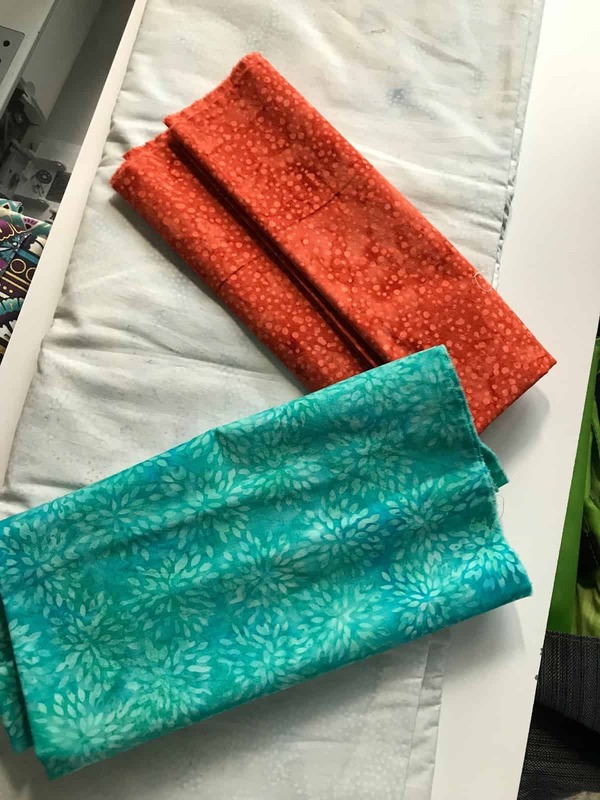 My friend used the same fabric as I did and they are totally different! I auditioned some of my Island Batiks so that I could work on April’s challenge while away on Spring Fling, our annual quilt guild getaway. These fabrics are given to me by Island Batik to use in quilt challenges throughout the year. For the retreat, we go to a lovely spot on Lake Winnipesaukee in New Hampshire, a little over 2 hours north of Boston. We sew and eat and laugh and have a great time for 4 days and 3 nights. The endless winter meant there was lots of ice still on the lake and snow that fell Friday! 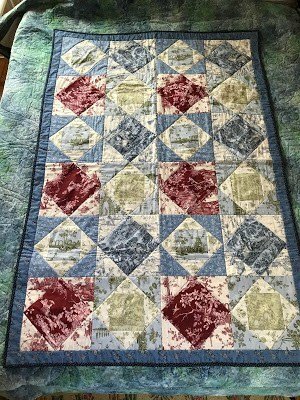 The above quilts went to new homes. 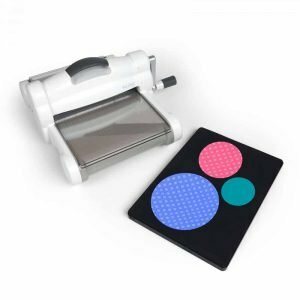 I have been playing with a few designs – some easier than others! 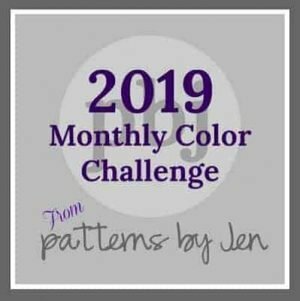 I worked on a new technique for my April Challenge. 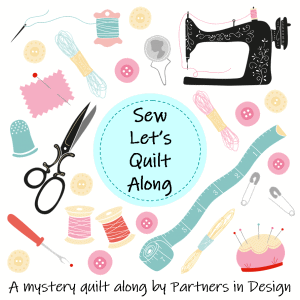 I worked on a pattern for our QAL! Details will be realeased on May 1st so keep an eye out. 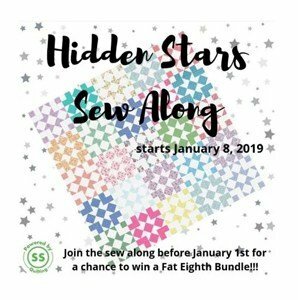 It is designed by a group that met nearly a year ago in the 2017 New Quilt Bloggers and are now known as Partners in Design. You can find us here. I signed up to host a few things in May…more on that later. Unfortunately, I fell behind in my #365daysofArt but I will be back! One can only do so much. So, you can see there are a lot of things in the works. Yes, it was and I neglected to get things lined up. I am a bit more on track this week, but one more class and show to go! Wow, your star is BEAUTIFUL!!! Great job!! Thank you, Nancy. It was really fun class. You've obviously been having fun. That star is really stunning; I'd love to see your friend's version. The retreat sounds wonderful! I have to admit I miss our 2017 group, but it's fun to see what you are cooking up together! Yes, Wendy, it has been fun! 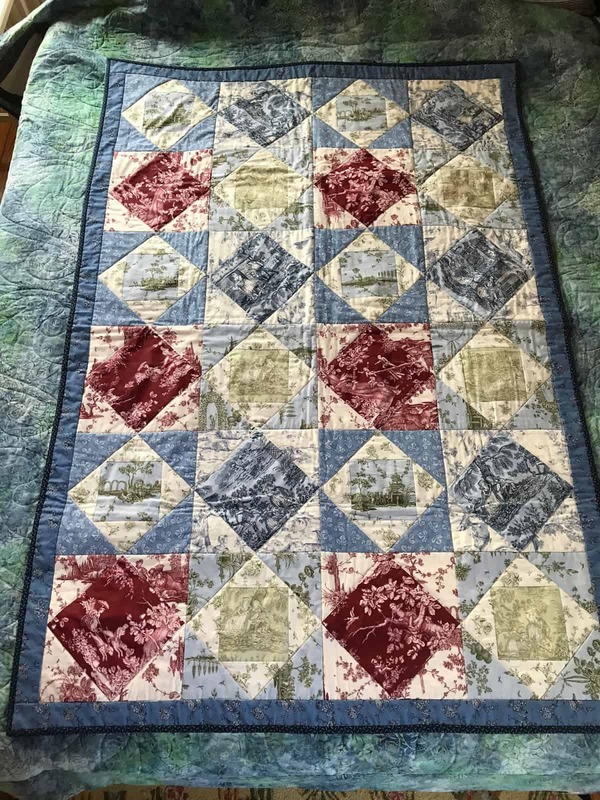 The constant coming and going is not for me, but I love the quilting activities. It has been awhile since I was able to get to a show or a 2 day class. I hope I can continue to do a bit more, but a bit more spread out. I do miss the NQBlogger group but am happy for those who remain in touch. Maybe next round we should ask you to host? Or design if we are short? Love that star!!! I'm so excited to see dates for the fall into a QAL! I had such a good time with the Christmas QAL! Thank you – I love the star too. So glad you will join along again on the QAL. It is such a nice group of quilters and we had a lot of fun. Lovely projects! You must have had such a good time at retreat. And that Paula Nadelstern class must have been such fun. 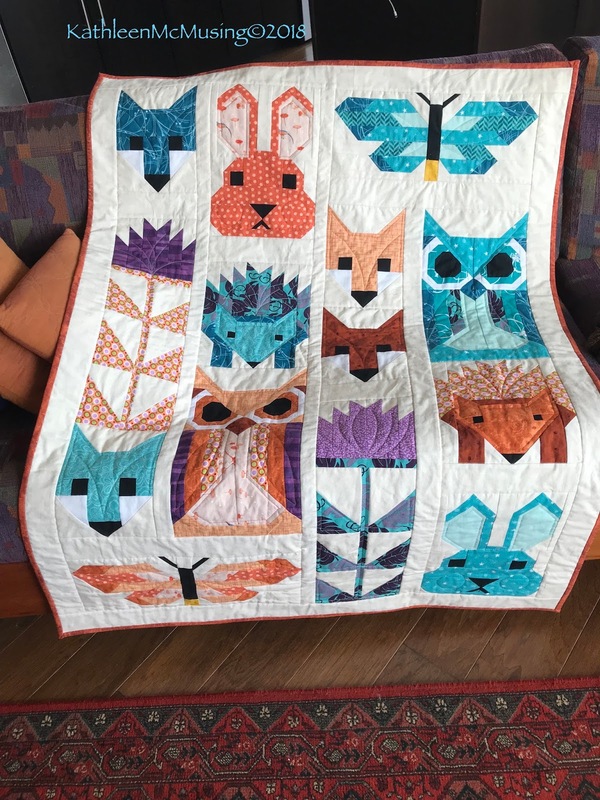 Her quilts are so gorgeous. Thanks for linking to Wednesday Wait Loss. Thanks, Jennifer. 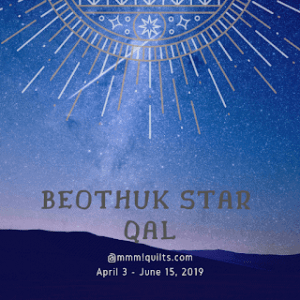 I did have a great time at the retreat and the class now am enjoying MQX – the Machine Quilters Expo. It makes me want to crawl under a rock, but seeing such great quilting is a blast. I am glad to be getting back WWL and even added my button this week (finally!). 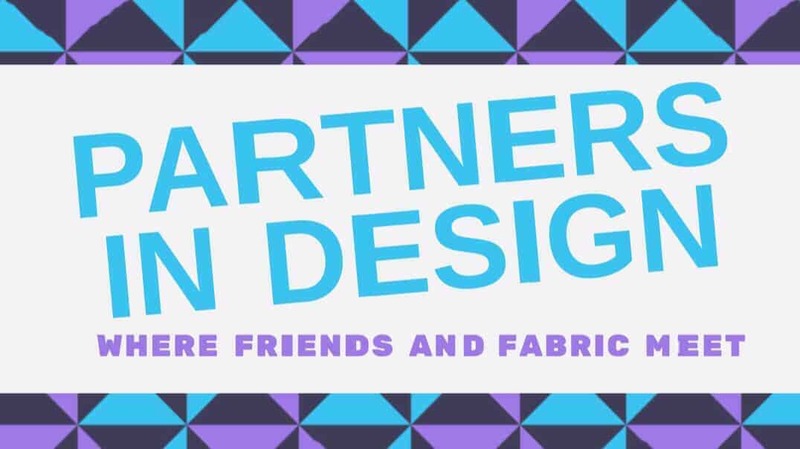 Well how cool that you've formed a design group! Such good things can come out of the NQBBH! Your STAR! Cue the choir! I am green with envy that you got to take a class from her; I heard her speak and saw her trunk show, and took a class from Deb Tilley, her protégée (which I think I told you). Wonderful! Lots going on in your world for sure! Oh, Sandra, you make me blush. I am no rock star, but it is a pretty nice group. It was wonderful to take a Paula class and you did learn from her protogee which is great. I am having fun but back to work soon. Met Jennifer Strausser today at MQX – two Island batik and NQBB veterans (and I guess she is helping this year too)!